Other honorees on Saturday night included Congresswoman Maxine Waters, who accepted the NAACP Chairman’s Award, and radio personality Tom Joyner, who received the Vanguard Award. Waters got political during her time on stage and urged that Donald Trump needed “to be impeached” at the conclusion of her speech. 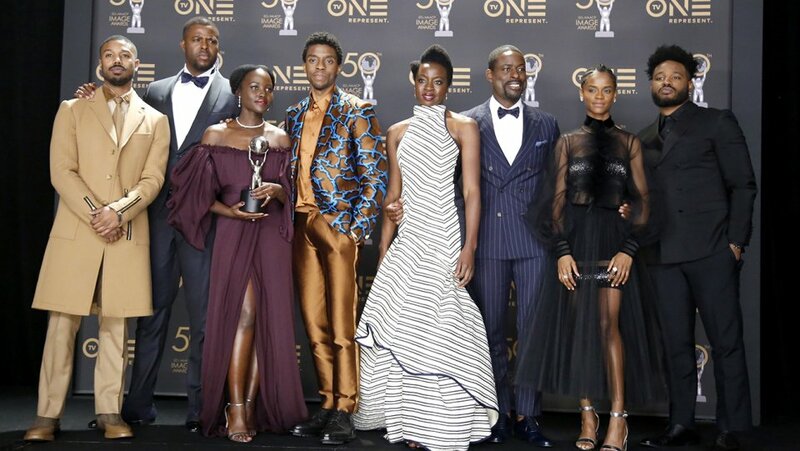 Other presenters included Algee Smith, Cynthia Erivo, Danai Gurira, Issa Rae, Jimmy O. Yang, John Legend, Laura Harrier, Lupita Nyong’o, Marsai Martin, Mike Epps, Regina Hall, Ron Stallworth, Sanaa Lathan, Stephan James, Van Jones, Vin Diesel, Viola Davis,Winston Duke, Chrissy Metz, Kerry Washington, KiKi Layne, Lena Waithe, Letitia Wright, Malinda Williams, Mike Colter, Roshon Fegan, Thandie Newton, Tika Sumpter and Trevor Noah.